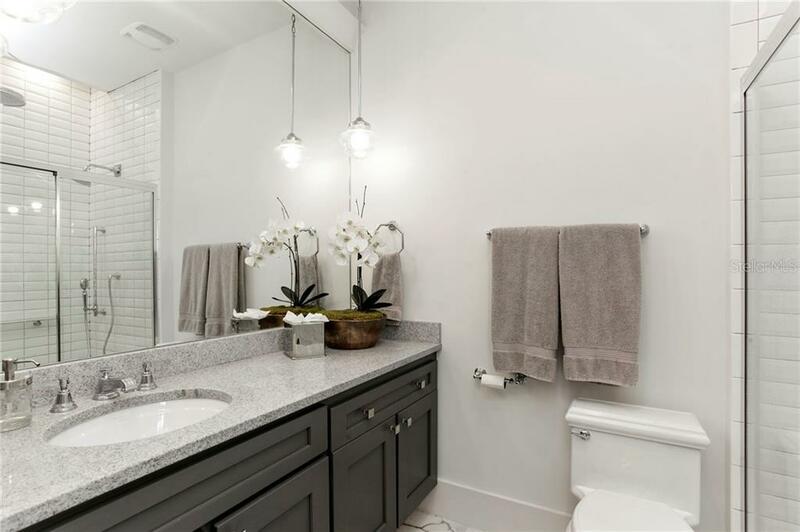 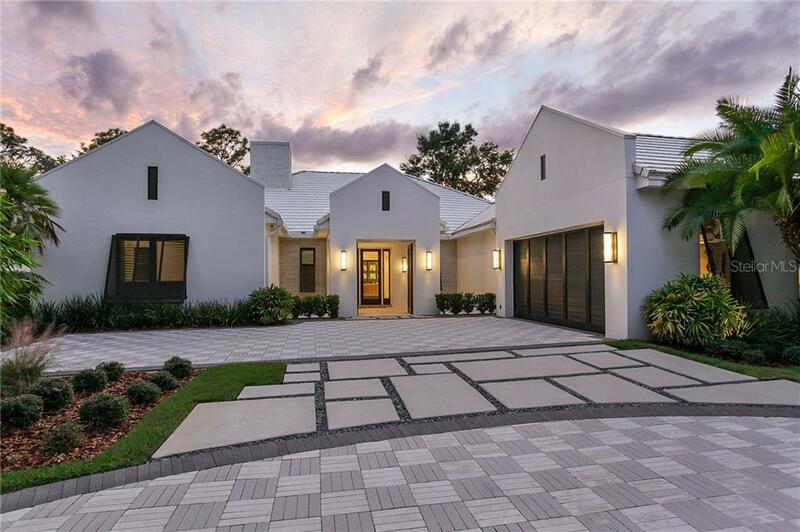 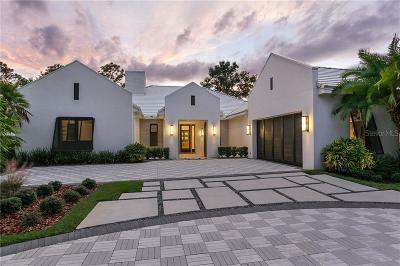 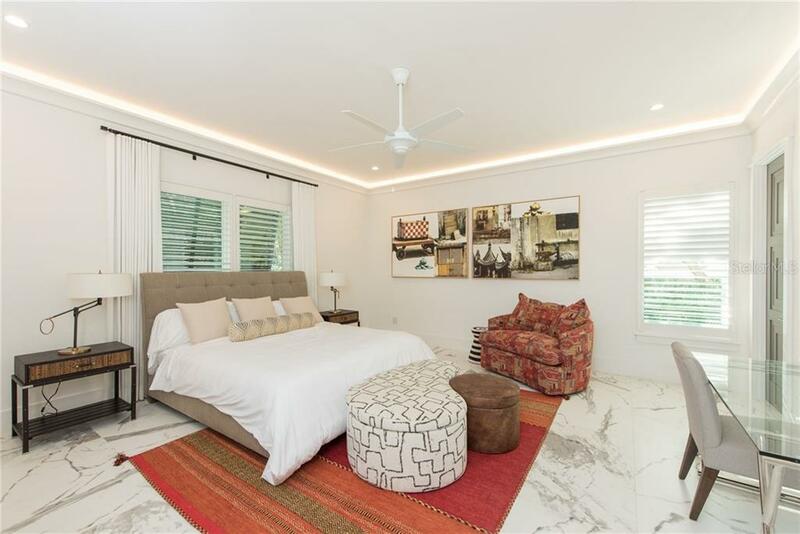 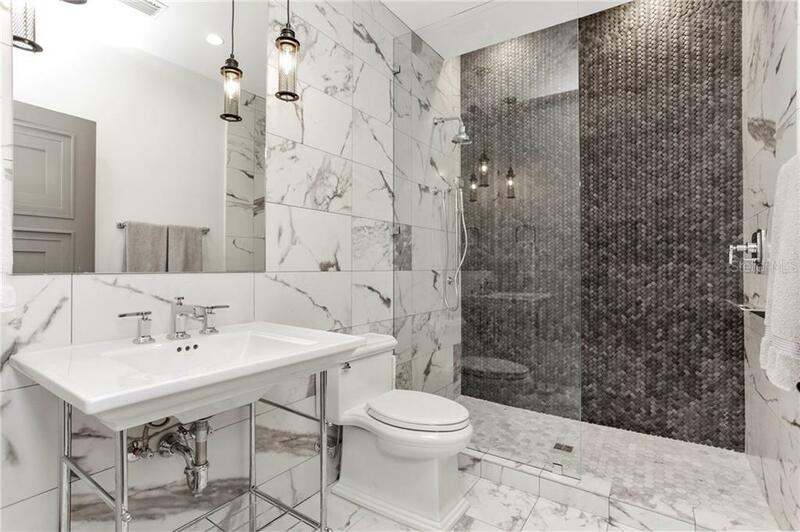 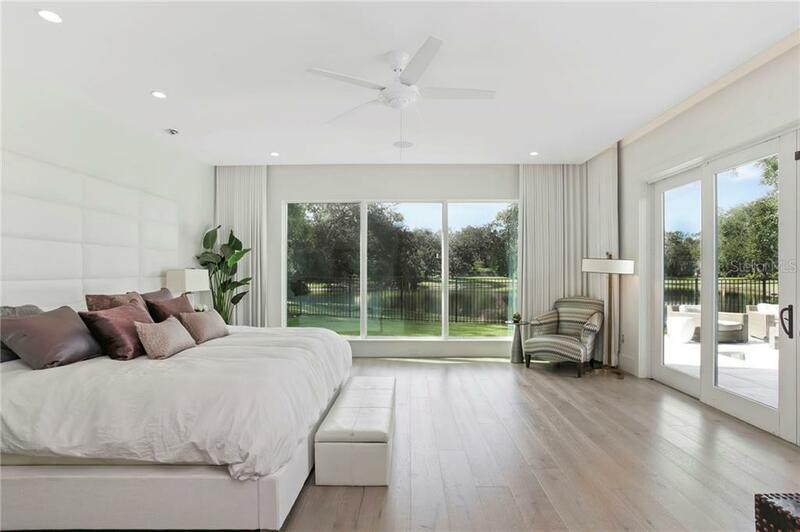 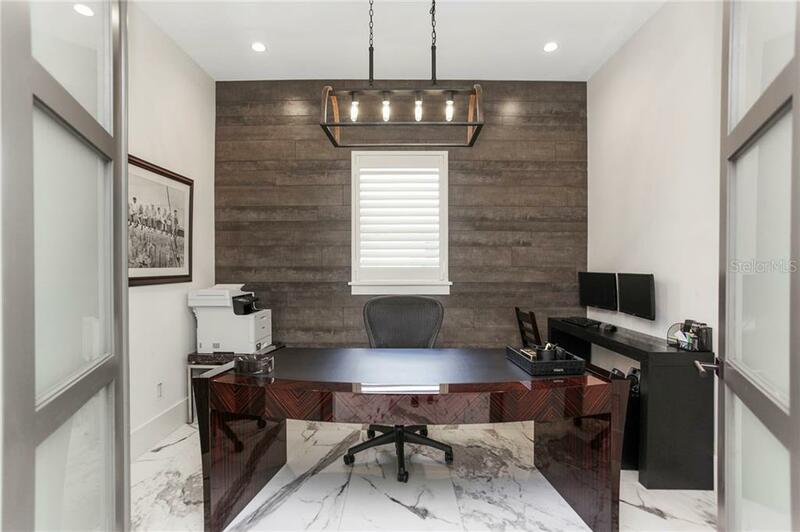 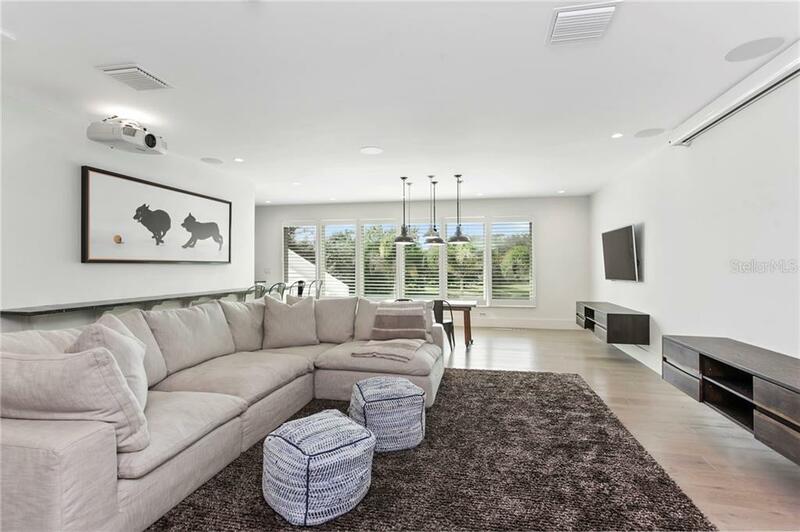 Located in the heart of Lake Nona Golf & Country Club, the modern Bahamian-style home overlooks serene pond views and boasts energy efficiency traits. 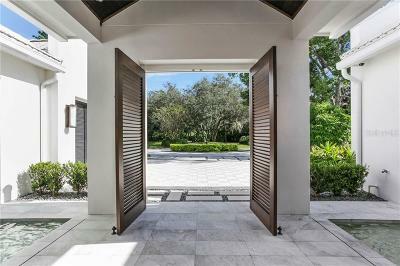 The homeâs contemporary, coastal aesthetic impresses upon arrival through a covered entry, centered on two water features. 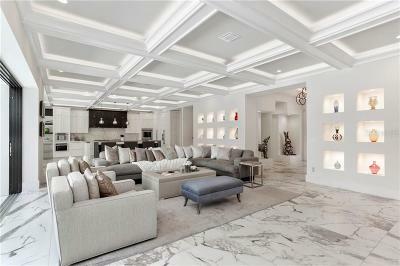 Transitional architectural details impart character and interest throughout the elegant interior. 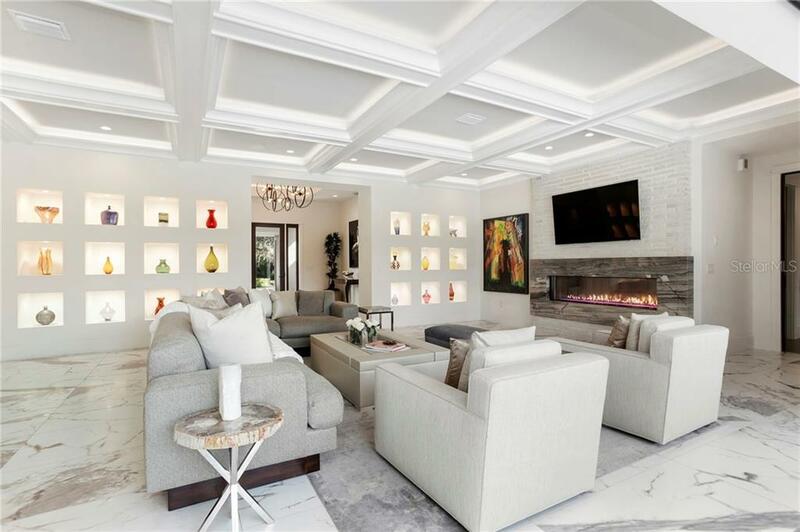 Anchored by a striking marble linear fireplace, the great room features a coffered ceiling with inset lighting and overlooks a glistening pool and pond. 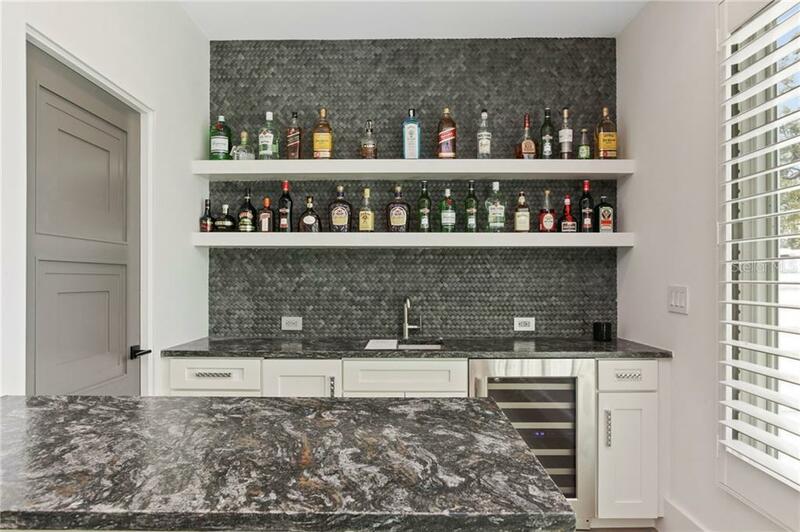 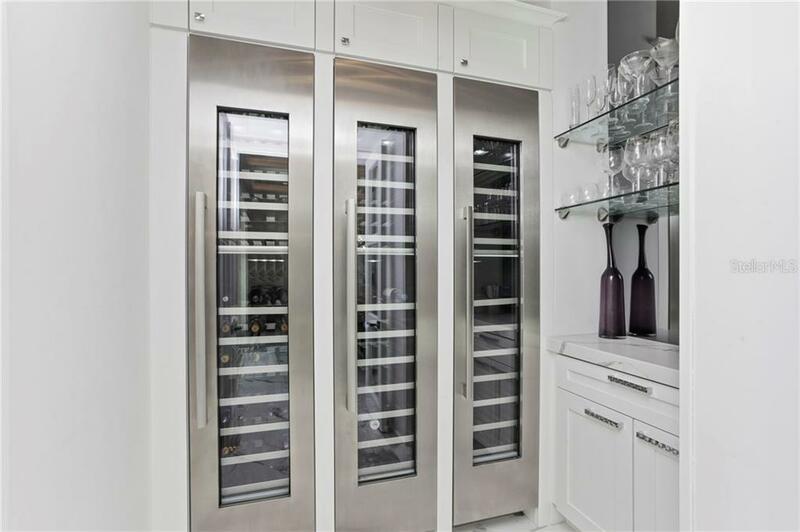 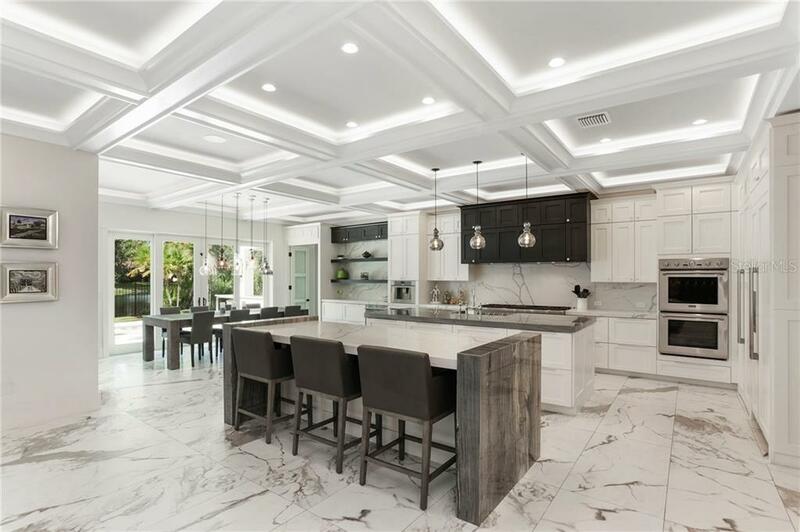 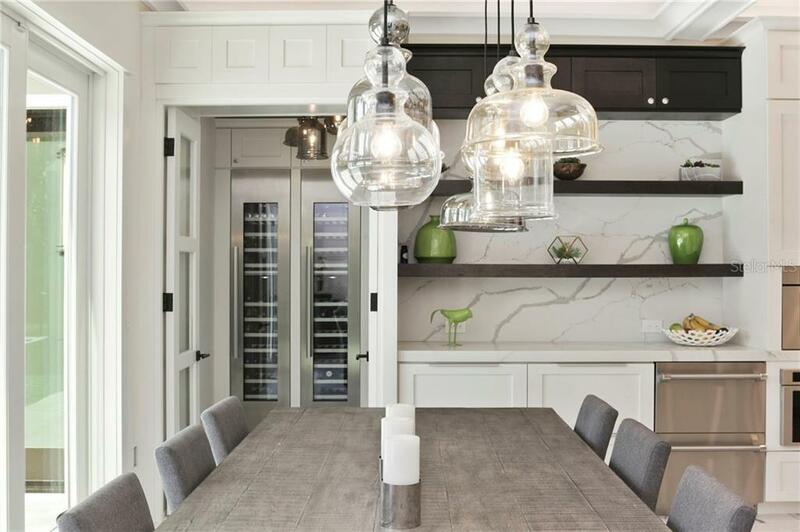 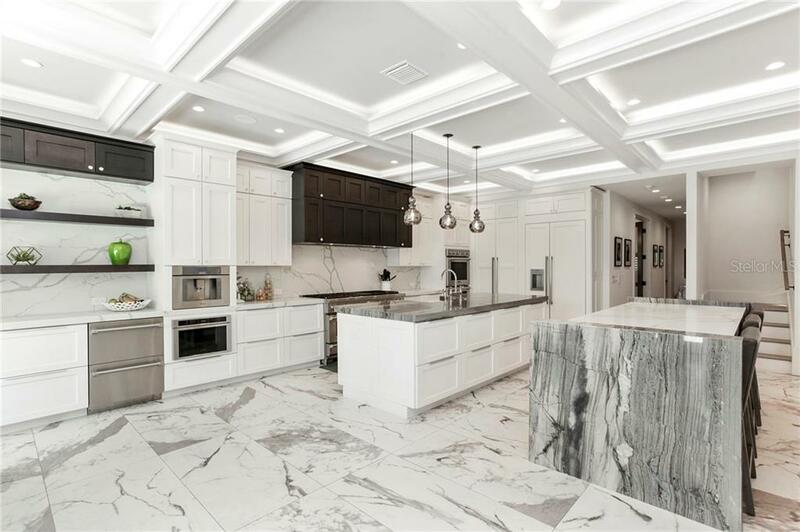 The gourmet kitchen, with two expansive islands, Thermador appliances, beverage drawers, a built-in coffee bar and designated wine room, is perfectly appointed for entertaining or casual dining. 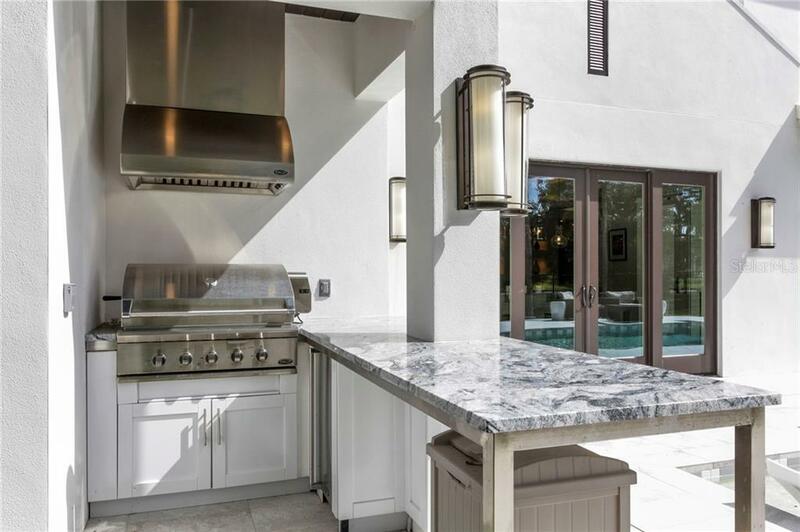 Sliding glass doors open to the outdoor living area presenting a covered lanai with retractable screens, an outdoor summer kitchen with built-in grill and a custom fire pit. 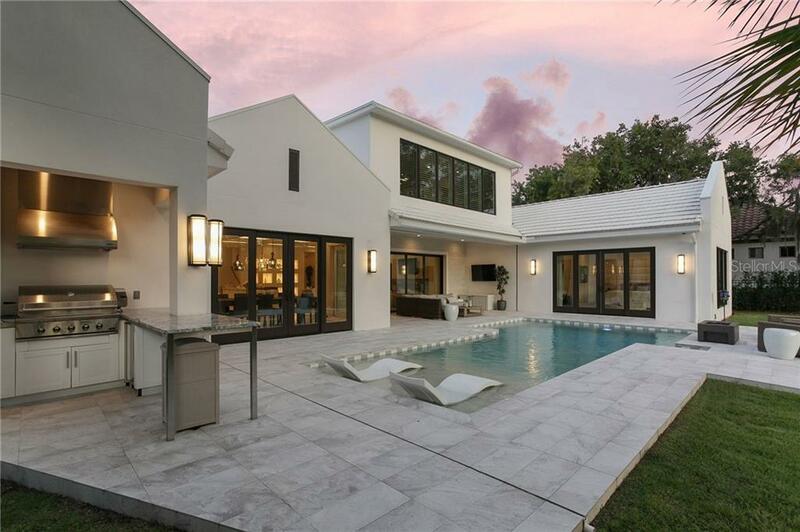 Highlighted by a sun shelf, the sparkling pool creates the perfect spot to unwind on a warm Florida day. 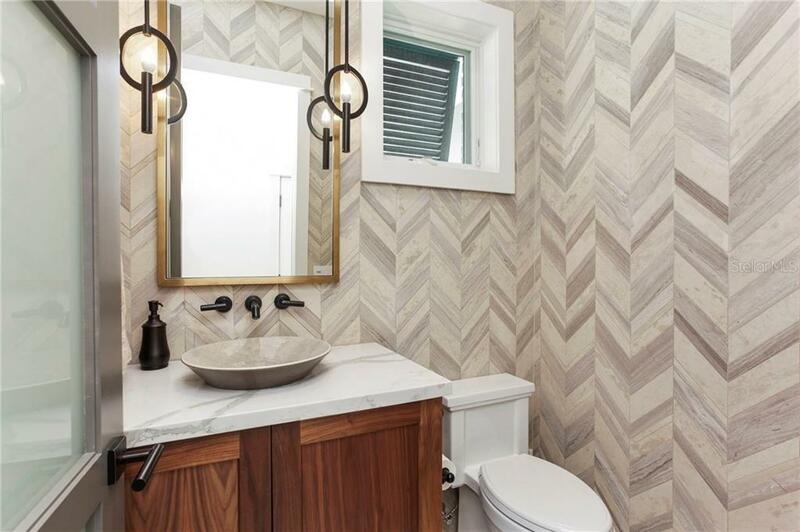 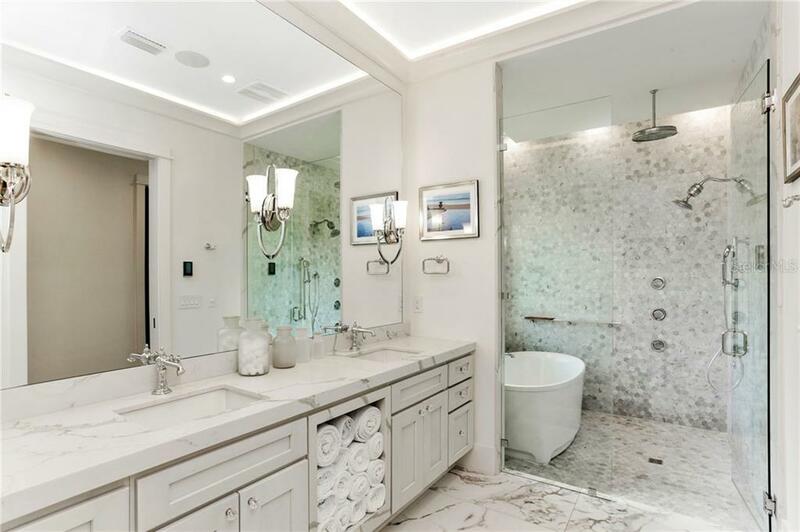 The master suite enjoys private access to the outdoor living area and an incredible master bath with dual sinks, a glass-enclosed marble shower with a free-standing tub inside and a programmable multi-head jets system. 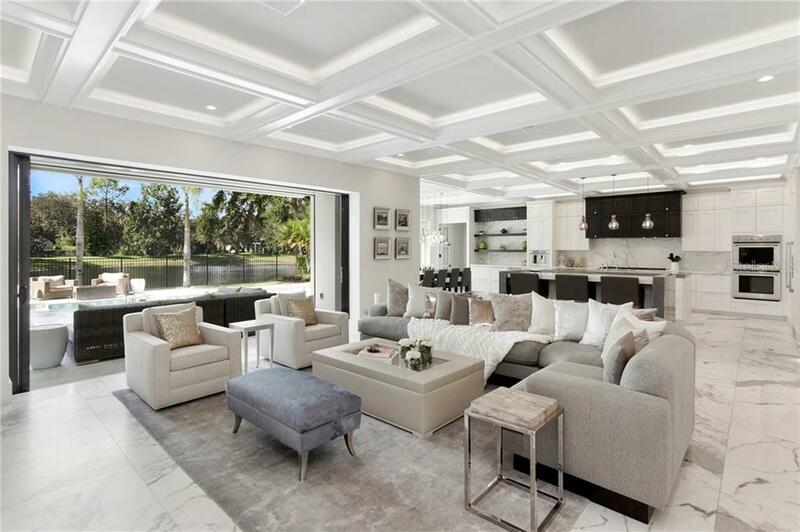 Upstairs, the homeâs game room functions as a media hub and a social gathering space enhanced by a stunning bar and beautiful water views. The home also includes a whole-house generator. 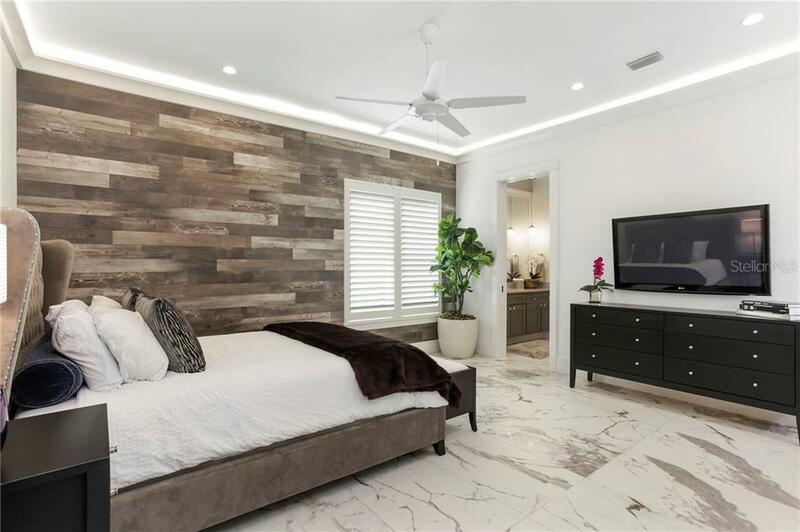 Projector and screen upstairs, as well as headboard and bed in Master Bedroom, do not convey. 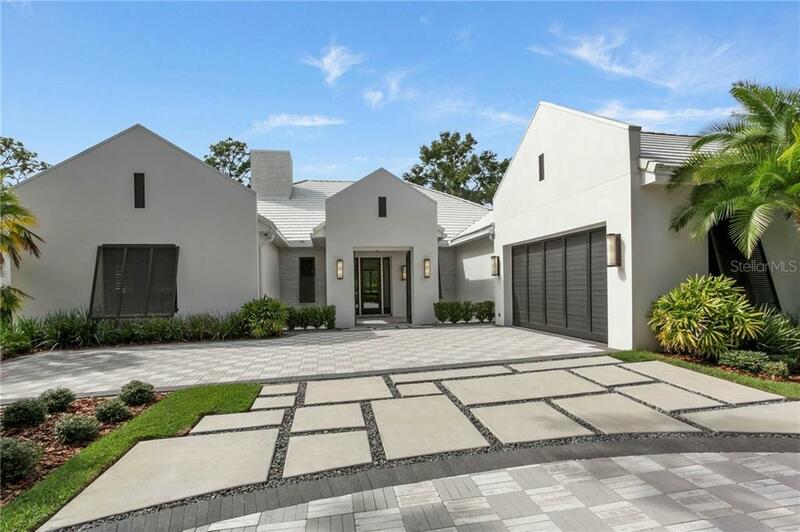 Amenities Additional Fees: Social and golf membership for Lake Nona Golf & Country Club including golf course, clubhouse, fitness center, pool, playground and tennis courts.